TA Technix lowering springs for the VW Passat Variant type 3GS. TA Technix lowering springs for the VW Passat Sedan type 3G,3C (B8) (FWD). 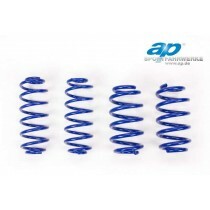 TA-Technix lowering springs VW Passat Variant GTE Typ 3G5.